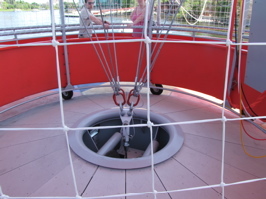 Today, Denise from site partner MouseSteps finally made it onto the new Downtown Disney balloon experience Characters In Flight! Enjoy a full report on her two flights with photos and exclusive video. 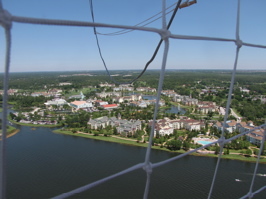 Characters In Flight (operated by Aerophile) is a tethered helium-filled balloon that takes guests 400 feet above Downtown Disney. 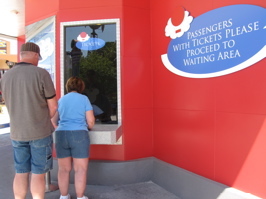 The ticket counter (below right) is where you can purchase your ticket immediately before entering the final queue for your flight. 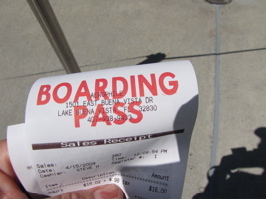 You are given a boarding pass (below left) and then wait on the dock to enter the gondola (below right), which was only taking 8 passengers at a time today due to mild winds at 400 feet. It was a picture perfect day with great visibility. 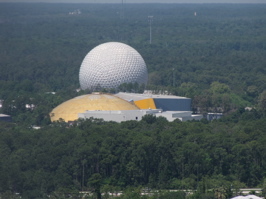 Denise is scared of heights and was a little shaky on the first trip, but her second was much easier – the balloon went up pretty smoothly and is a great way to see Disney from above. Binoculars would be a great addition to this experience. 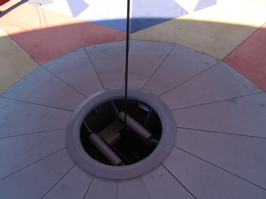 The tether (below left) and pulley system that controls the height of the balloon. 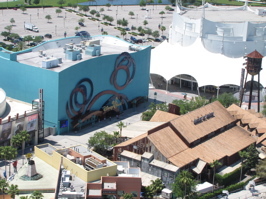 Looking down over Pleasure Island (below right). 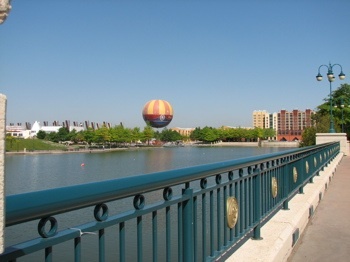 Downtown Disney’s West Side featuring the Disney Quest and House Of Blues Buildings (below left). 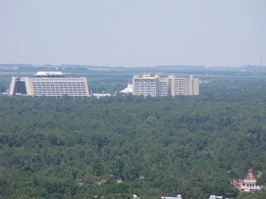 The Contemporary Resort and DVC Bay Lake Tower (below right). 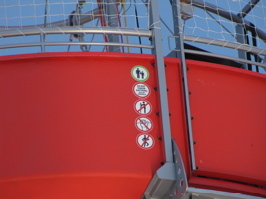 Denise has a 20x optical zoom and 80x digital zoom, some of the items she took photos of would not be as visible without binoculars or a good zoom on a camera. 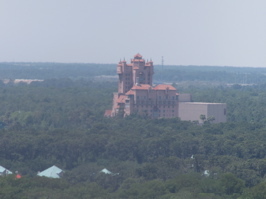 Disney’s Hollywood Studios Tower Of Terror (below left) and Epcot’s Spaceship Earth (below right). Your FAA certified balloon pilot (below left) answers questions and gives information during the flight. 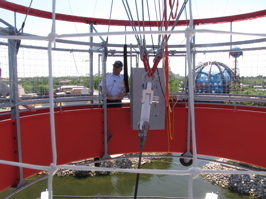 The cable (below right) pulls the balloon back to earth! 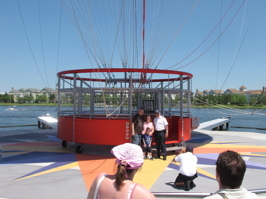 The Characters In Flight operating hours are: Sunday to Thursday, 10:30 am to 11pm. 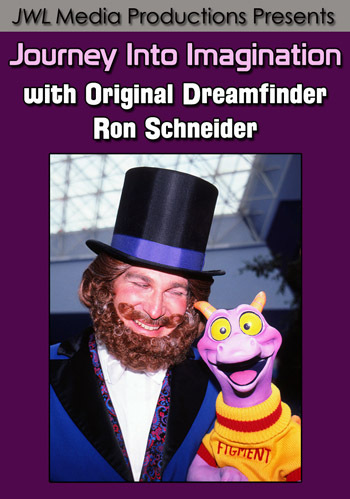 Friday and Saturday, 10:30am to 12am. 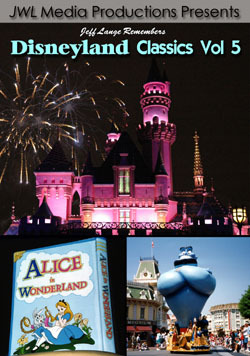 The prices are: Adults (ages 10 and up) $16.00 and Children (ages 3-9) $10.00 (all prices include tax). Conditions for flight are as follows: 3mph or less, flight with 20 passengers, 3mph to 12mph, flight with 10 to 20 passengers, 12mph to 22mph, flight with 10 passengers and 22mph or storm conditions, no flight. It is very hard to tell sometimes whether the balloon will go up – but if the tops of the trees are swaying, that is a good sign that the balloon is not going to fly. 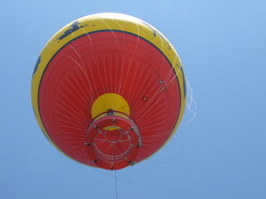 The balloon was only operating for about 3 1/2 hours today before the wind kept it grounded. 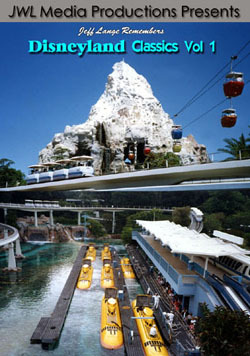 It seems as if this will be a hit or miss attraction as the Florida weather can be very unpredictable. I can’t wait to do this myself, especially at night during the fireworks! 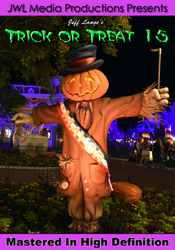 For more great full size photos, please check out MouseSteps latest update HERE! 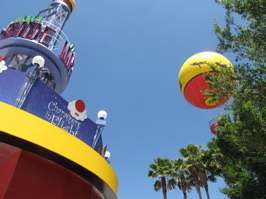 Video #1: lift-off from onboard the Characters In Flight balloon… all the way up! We also have new video of the lift-off from the Platform! 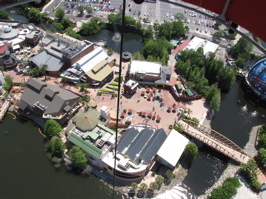 Video #2: This was recorded from onboard Characters In Flight, 400 feet above Downtown Disney. 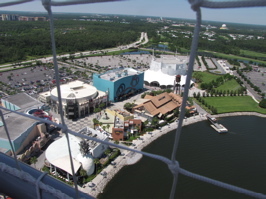 Video #3: This was taken while landing in the Characters in Flight balloon at Downtown Disney on April 15th, 2009. 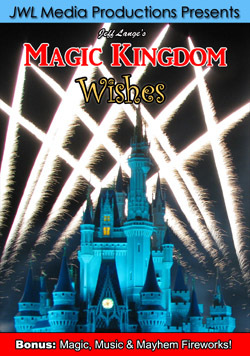 Video #4: Characters In Flight at Night, balloon being tethered. 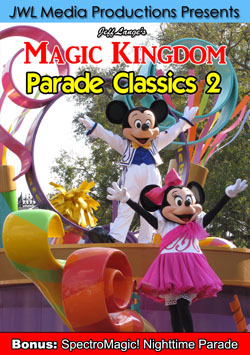 The music playing in the background is from Pleasure Islands new Celebrate Tonight entertainment. Photos and updated videos can be found HERE. 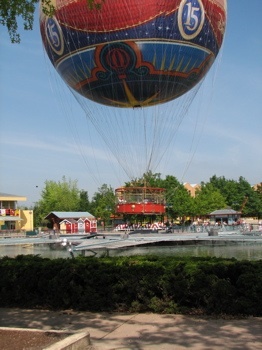 PanoraMagique – the largest captive balloon in the world and carries up to 30 passengers 100 meters above the ground! 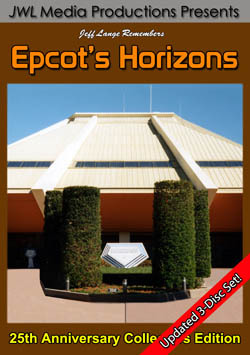 Please click Here for some great shots of a similar attraction at Disneyland Paris also operated by Aerophile. 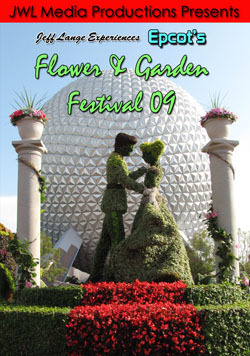 Celebrate spring at one of Disney’s most anticipated events of the year: The Epcot International Flower and Garden Festival 2009.